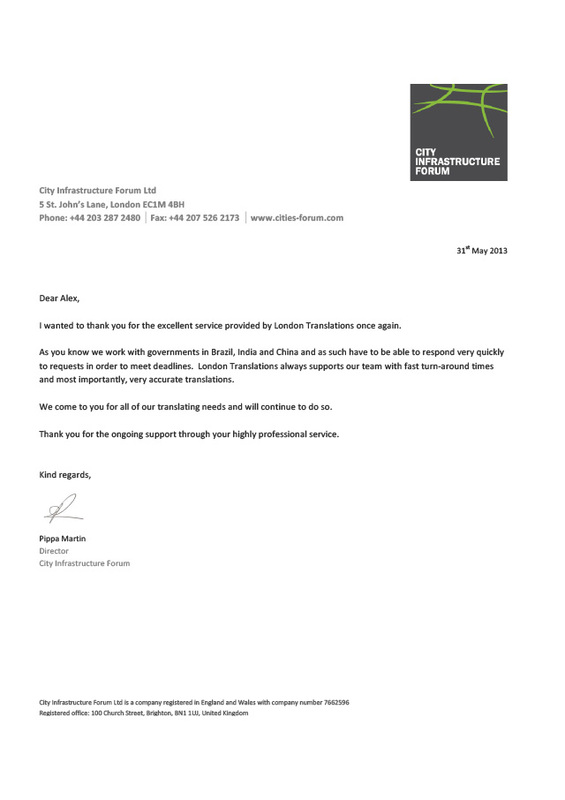 I wanted to thank you for the excellent service provided by London Translations once again. As you know we work with governments in Brazil, India and China and as such have to be able to respond very quickly to requests in order to meet deadlines. London Translations always supports our team with fast turn-around times and most importantly, very accurate translations. We come to you for all of our translating needs and will continue to do so. Thank you for the ongoing support through your highly professional service.